We're looking forward to seeing you at our Women for Nellie Fundraiser and Women's History Month celebration! 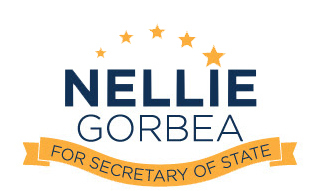 Thank you for supporting Nellie's work as Secretary of State. Your generous support helps provide the resources necessary for a successful campaign season. It's great to have you with us as we forge ahead! If you are self-employed, please list the name of the entity that is on your paycheck. Please list your line of work. For example, include type of business instead of "Business Person"; "Consultant" or "Attorney" instead of "Self-employed". If retired, simply state "Retired". I am not a lobbyist registered with the State of Rhode Island.